We first meet Clarissa Dalloway and her husband Richard in The Voyage Out. Too many pages have been turned since my reading of Virginia Woolf’s first novel for me to remember that I’ve met them before. It is similar to meeting someone at a party and then meeting them again several years later. I might have a sliver of memory of meeting them before. I always find it awkward to decide to confess that I do have a vague memory of them, potentially subtly unintentionally insulting them, or brazen it out with of course I remember you (potential minefield if my slender memory is in fact wrong). There is always the option of hitting the restart button by saying what a pleasure it is to meet them. Some of this, of course, is entirely up to how they play it and if they remember meeting me before. Clarissa Dalloway would know exactly how to handle that situation. If she did bungle it, she would recover the situation with a little laugh and say something along the lines of how silly she is about names and faces. I feel that Virginia was a bit harsh in her description of Clarissa in The Voyage Out. Clarissa is "a tall slight woman, her body wrapped in furs, her face in veils, with artistic tastes and inclinations, but no brain whatsoever.”I think that Clarissa has become who she was supposed to be not, as we find out, who she wanted to be. She has become Mrs. Richard Dalloway, and her identity beyond that has become a series of sepia toned memories of her brief life before marriage. If you were to look in any phone book for Phillips County, Kansas, from 1954 to 1995, you would find listed a Mrs. Dean Keeten. From the moment Leota Irene Chester (22) married Dean Leo Keeten she became known as Mrs. Dean Keeten. My grandfather died in 1954, but when she checked herself into the hospital in 1995, for what became the last time, she still registered as Mrs. Dean Keeten. To her, the only power she had existed in my grandfather’s name. I can only think that she was well aware of the powerlessness of women and wanted people to believe that if they irritated her they would have to deal with her husband, ghostly though he was. I’d like to think, too, that there was a lingering pride in being married to the man. He is haunted by the war, in particular his memories of his friend Evans who died in the closing months of the war. He is certainly suffering from acute shell shock. He is:”Septimus Warren Smith, aged about thirty, pale-faced, beak-nosed, wearing brown shoes and a shabby overcoat, with hazel eyes which had that look of apprehension in them which makes complete strangers apprehensive too. The world has raised its whip; where will it descend? I do wonder if there weren’t some homosexual overtones to his relationship with Evans. I like the idea because if he is a true doppelganger of Clarissa, then her thoughts and memories of Sally Seton tie in so nicely. I would say Clarissa was smitten at first sight. ”But all that evening she could not take her eyes off Sally. It was an extraordinary beauty of the kind she most admired, dark, large-eyes, with that quality which, since she hadn’t got it herself, she always envied---a sort of abandonment, as if she could say anything, do anything;....” Sally must have been a handful because the strained relations with her family necessitated a span of time apart. There is the hope that an unruly child will act better with others than they do with their own family. A kiss shared between the two girls is remembered by Clarissa as one of the most passionate moments in her life. Sally does come to the party, now married, now Lady Rosseter with five sons. She is completely reformed and conformed to the very aspects I’m sure she found so infuriating about her family. Clarissa also has an old flame, Peter Walsh, who is back from India just in time to attend her party. She has not seen Sally or Peter for many years so her party is infused with a certain level of warped nostalgia. Though really one gets the impression that Clarissa might have preferred leaving them both suspended in time when they were who she remembered them to be. She...you see... jilted Peter for Richard. Peter is still in love with her. As she analyzes her thoughts of Peter, it is certainly on a more practical level than a romantic one. She considers, without any gossamer wrapped sentimentality, what her life would have been like if she had married him. In his pockets Peter carries a menagerie of totems. ”...his knife, his watch; his seals, his note-case, and Clarissa’s letter which he would not read again but liked to think of, and Daisy’s photograph?” The knife he pulls out whenever he is nervous and opens and closes it. This trait so annoys Clarissa. It is potentially comparable to fondling oneself into arousal. I had the impression that if he were to lose everything he owned except for those few things he carried on his person, he would be fine. If he were to lose those precious items, he would be out of sorts for quite some time and would be slow to recover from their loss. Peter has trouble with women, leaving scandals in his wake wherever he goes. He falls in love too easily, which could be attributed to a naturally romantic manner. He once followed a girl for a half hour and, from the scant information he gained about her, nearly fell in love with her. Easy to do when you have only flipped through the pages very quickly without taking the time to actual read the narrative. I’d like to think that the reason he is this way is because of the torch he still carries for Clarissa. Nothing else will ever be as real for him anyway. Of course, the woman he loved no longer exists either. Clarissa shares some of her thoughts on death after she hears the chatter at her party about the suicide of Septimus Smith. ”Death was defiance. Death was an attempt to communicate, people feeling the impossibility of reaching the centre which mystically, evaded them; closeness drew apart; rapture faded; one was alone. There was an embrace in death.” The reverence with which this statement about death is made put a shiver down my back. Woolf admitted that she had difficulty writing about the madness of Septimus. She used some of her own depression inspired hallucinations to describe his distressing anxiety. She had planned for Clarissa to die at the end of the novel, but shifted that role to Septimus. Not that I think Clarissa is Virginia, but there are certainly aspects to her thought processes that are shared with Woolf. It may have been too bold, too frightening for those who knew Virginia to have Clarissa kill herself. The treatment, if you call it that, of Septimus is a condemnation of psychology in post WW1 British society. Woolf was treated by several incompetent doctors for her own struggles with depression. Sir William Bradshaw, the famous psychiatrist, who was treating Septimus often bragged about his ability to determine a person’s problems, and to also be able to prescribe a treatment in five minutes or less. Obviously, his respect for his own profession is rather cavalier, and certainly his dismissive attitude to the true nature of mental illness is reprehensible. Virginia Woolf put stones in her pockets, walked into the river Ouse, and drowned herself sixteen years after the publication of this novel. I often think how long she had been considering suicide before she actually made that final decision. I had planned to start this book and then set it aside while I finished another book. That turned out to be impossible. 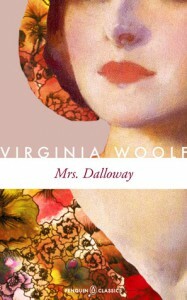 Mrs. Dalloway would not tolerate any rivals. I was hers for the duration. It is a modest book in regards to size, but so packed with so many wonderful observations that I could continue, with ease, to write several more thousand words regarding other aspects of this novel. I loved the style. There is a bounce to the writing as if springs have been attached to the words to keep them from miring down in meditative thought. The characters, though possessing few characteristics that I admire, were likeable, and today I actually find myself missing them as if I had toddled off to India or the West Indies. ”What is this terror? what is this ecstasy? Peter thought to himself. What is it that fills me with extraordinary excitement? It is Clarissa, he said.